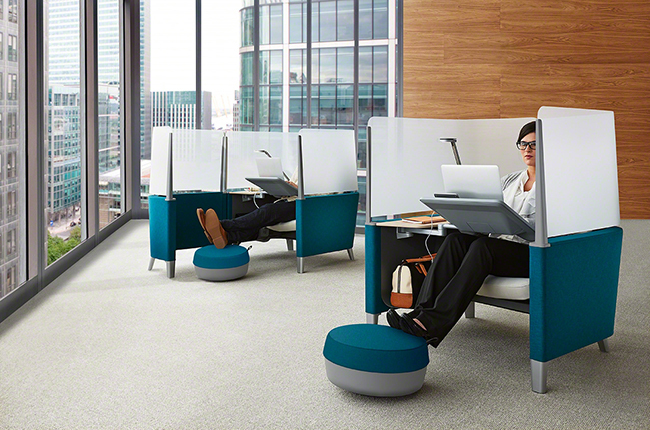 Brody WorkLounge solves 3 key workplace issues. Everyone loves a bargain. Well, what if you could solve three key workplace issues in one elegant solution? You’d probably be intrigued! Well, the new Steelcase Brody WorkLounge fits the bill, a hardworking solution for any open plan environment that’s highly flexible, functional and space-saving. Providing high performance comfort and support, the Brody WorkLounge features patented LiveLumbar™ technology—bringing thoughtful ergonomic design to the lounge posture. The adjustable worksurface holds technology at eye level, reducing neck and shoulder strain. 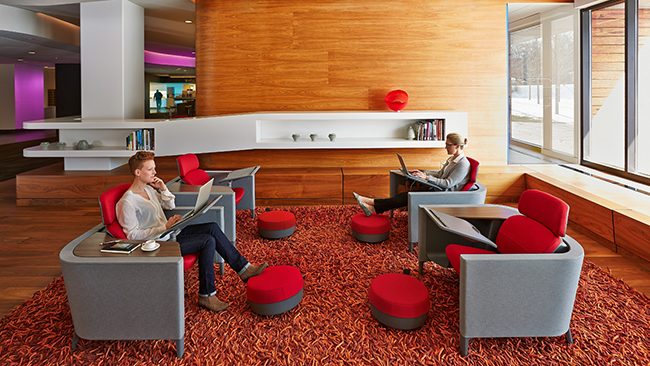 No more slumping in uncomfortable lounges desperately trying to be productive. Brody WorkLounge is a smart alternative to enclaves transforming under-utilized in-between spaces into covetable destinations. The ability to focus is a real challenge for today’s workers. We get interrupted or distracted every 11 minutes and it takes over 23 minutes to get back on task. Brody creates a shelter from visual distractions, has options for enhanced privacy and provides a cocoon-like sense of security. This unique product can ganged together or utilized as a more traditional lounge seating option without the privacy screens. Intriguing… Want to learn more?